into the earth despite every insistence for light. The “hurdle”—the problem, the obstacle, the barrier, the stumbling block, the hindrance, the complication, the difficulty—was US, those insisting that the true obstruction was what would be built on the summit of our existence, our mauna. into the earth despite every insistence for space. That mountain is our place, we insist. It is our space, one we situate ourselves in and around. It is how we understand ourselves, our role, our right. The light may have gone out in his eyes, but we will insist for him, insist that the world continue to honor our spaces. into the earth despite every insistence for life. But is there truly a state of nothing-ness, one in which things simply cease to occur? Or did he move on and find new ways to persist and to insist that his very existence have meaning? Yes. into the earth despite his every insistence. But those who pushed him down, who tried to burry his hope and to burry him with it, did not realize that it was from the earth that he was born. Therefore, it is from that space—his hands clasping soil, his feet tangled with roots, his mouth feeding on stones—that he will rise again. Radical? They can call us radical for having hope, even when it seems like we have lost the battle. Because that, my friend, is us, insisting. No longer will we be depressed. Lights may go out. But the can always, always, always be reignited. From a newspaper article printed in the West Hawaiʻi Today. It can be accessed here. From a piece entitled “On Being Indigenous: An Essay on the Hermeneutics of ‘Cultural Identity’” by Michael Chandler, p. 85. From a book entitled Radical Hope: Ethics in the Face of Cultural Devastation, by Jonathan Lear, p. 2. 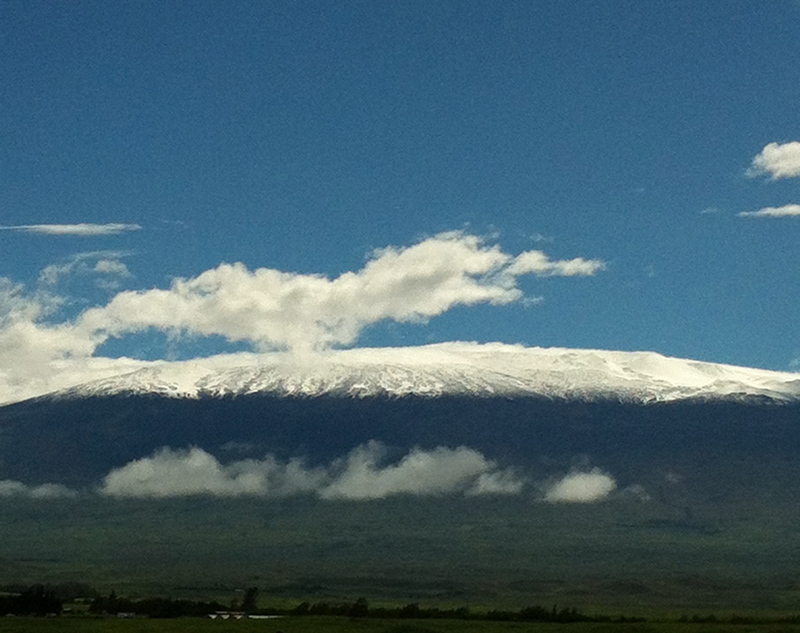 Categories: History, Reflections | Tags: Culture, indigenous rights, insistence, Mauna Kea | Permalink. As my gaze bent toward the earth, I stood with clenched fists, with white knuckles. I shook. Your eyes traced my nervousness, watched my short breaths make my chest heave, swell and slump, swell and slump like a rolling sea. I had come all this way, traveled across the ocean to arrive at the beach of your memories. I wanted to collect your stories, to cast my line, and pull them up from the depths. I wanted to raise them, to make them visible, to watch them take shape in the sun. But my eagerness was quickly replaced by apprehension. What did I have to offer you in return? I raised my head to look at you, your gaze hopeful, welcoming. The corners of your mouth curled upward: a slight, knowing smile. My grip slowly loosened, blood-flow returning to my knuckles. My breaths lengthened, my back straightened. My chest swelled calmly like the slight rise and fall, rise and fall, of a smooth sea. With my eyes raised to you, my fists unclenched, I lifted my arm, turned my palm towards the sun and opened my hand to reveal a bundle, a small offering: he wahī paʻakai, a package of salt. I had come all this way carrying a piece of the ocean, of fluidity crystalized. 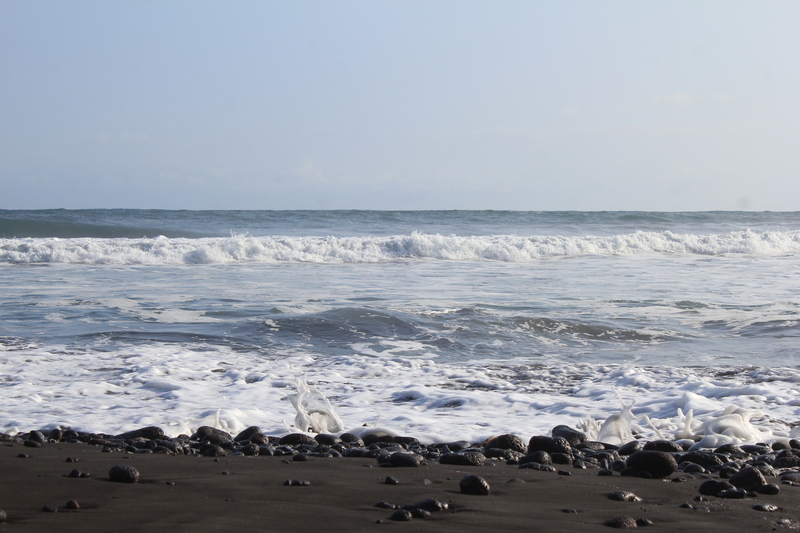 I moved toward you, offering you the promise of the sea: the steadfast nature of all that is paʻa, secure; and the transformative nature of everything that shifts and sways, shifts and sways like the kai, the ocean. I am still here, standing with salt in my hands. Let me rub it on your stories of pain. Let me sprinkle it on your stories of triumph. Let me use it to garnish your memories. I have come all this way to collect your words. If you let me, I will leave you with salt to flavor them, awakening the taste buds, enlivening the senses, making us thirst, always, for stories. Categories: Story, Writing | Tags: blogging, gifts, ocean, salt, sharing, stories, writing | Permalink.